Adams, Maurianne and Blumenfeld, Warren. 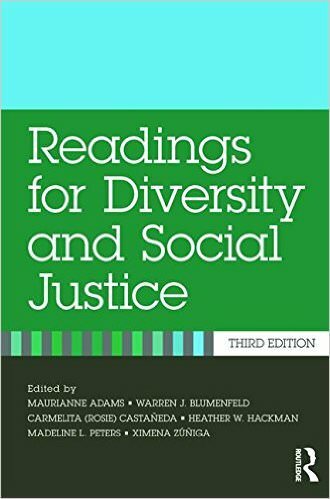 Readings for Diversity and Social Justice (Routledge; 3 edition). Adams, Paul and Novak, Michael. 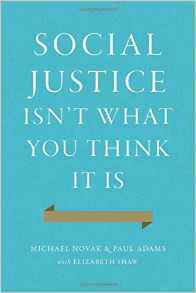 Social Justice Isn't What You Think It Is (Encounter Books, November 2015). What is social justice? For Friedrich Hayek, it was a mirage—a meaningless, ideological, incoherent, vacuous cliché. He believed the term should be avoided, abandoned, and allowed to die a natural death. For its proponents, social justice is a catchall term that can be used to justify any progressive-sounding government program. It endures because it venerates its champions and brands its opponents as supporters of social injustice, and thus as enemies of humankind. As an ideological marker, social justice always works best when it is not too sharply defined. Michael Novak and Paul Adams seek to clarify the true meaning of social justice and to rescue it from its ideological captors. In examining figures ranging from Antonio Rosmini, Abraham Lincoln, and Hayek, to Popes Leo XIII, John Paul II, and Francis, the authors reveal that social justice is not a synonym for “progressive” government as we have come to believe. Rather, it is a virtue rooted in Catholic social teaching and developed as an alternative to the unchecked power of the state. Almost all social workers see themselves as progressives, not conservatives. Yet many of their “best practices” aim to empower families and local communities. They stress not individual or state, but the vast social space between them. Left and right surprisingly meet. In this surprising reintroduction of its original intention, social justice represents an immensely powerful virtue for nurturing personal responsibility and building the human communities that can counter the widespread surrender to an ever-growing state. Annan, Kent. 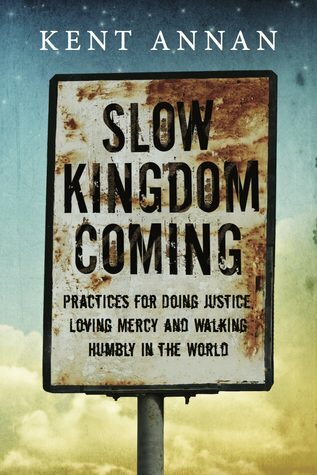 Slow Kingdom Coming: Practices for Doing Justice, Loving Mercy and Walking Humbly in the World (InterVarsity Press 2016). No one said pursuing justice would be easy. The road can be so challenging and the destination so distant that you may be discouraged by a lack of progress, compassion or commitment in your quest for justice. How do you stay committed to the journey when God's kingdom can seem so slow in coming? Kent Annan understands the struggle of working for justice over the long haul. He confesses, "Over the past twenty years, I've succumbed to various failed shortcuts instead of living the freedom of faithful practices." In this book, he shares practices he has learned that will encourage and help you to keep making a difference in the face of the world's challenging issues. All Christians are called to do justice, love mercy and walk humbly in the world. Slow Kingdom Coming will guide and strengthen you on this journey to persevere until God's kingdom comes on earth as it is in heaven. Barry, Brian. Why Social Justice Matters (Polity, 2005). In the past twenty years, social injustice has increased enormously in Britain and the United States, regardless of the party in power. At the same time, the idea of social justice itself has been subverted, as the mantras of personal responsibility and equal opportunity have been employed as an excuse for doing nothing about the enrichment of the few at the expense of the many and for making ever harsher demands on the poor and vulnerable. With grace and wit, Brian Barry exposes the shoddy logic and distortion of reality that underpins this ideology. Once we understand the role of the social structure in limiting options, we have to recognize that really putting into practice ideas such as equal opportunity and personal responsibility would require a fundamental transformation of almost all existing institutions. Bates Clark, John. 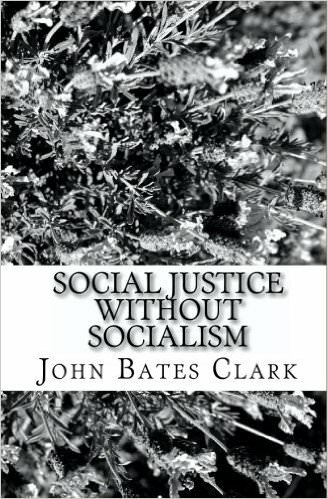 Social Justice Without Socialism (Createspace Independent Publishing Platform, November 2009). It is currently reported that the late King Edward once said, "We are all Socialists, now": and if the term "Socialism" meant to-day what His Majesty probably meant by it, many of us could truthfully make a similar statement. Without any doubt, we could do so if we attached to the term the meaning which it had when it was first invented. It came into use in the thirties of the last century, and expressed a certain disappointment over the result of political reform. Bush, Gail and Meyer, Randy. 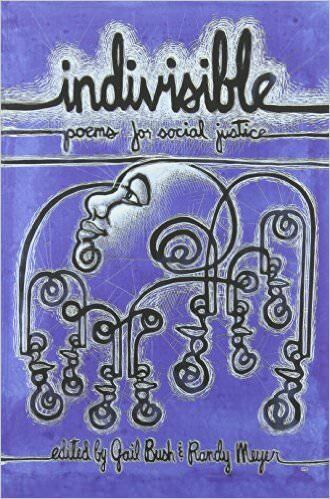 Indivisible: Poems for Social Justice (Norwood House Press, 2013). Anthology including over 50 works of poetry by 20th century writers on issues related to social justice in American society. Capeheart, Professor Loretta and Milovanovic, Professor Dragan. 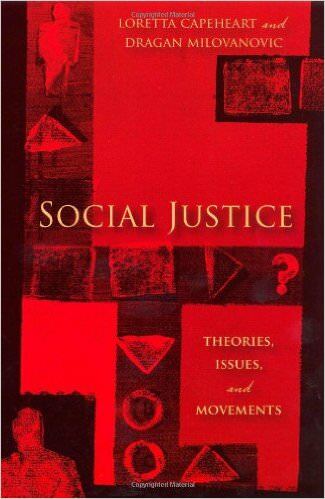 Social Justice: Theories, Issues, and Movements (Rutgers University Press 2007). An eye for an eye, the balance of scales--for centuries, these and other traditional concepts exemplified the public's perception of justice. Today, popular culture, including television shows like Law and Order, informs the public's vision. But do age-old symbols, portrayals in the media, and existing systems truly represent justice in all of its nuanced forms, or do we need to think beyond these notions? In Social Justice: Theories, Issues, and Movements, Loretta Capeheart and Dragan Milovanovic respond to the need for a comprehensive introduction to this topic. The authors argue that common conceptions of criminal justice--which accept, for the most part, a politically established definition of crime--are too limited. Instead, they show the relevancy of history, political economy, culture, critique, and cross-cultural engagement to the advancement of justice. Drawing on contemporary issues ranging from globalization to the environment, this essential textbook--ideal for course use--encourages practitioners, reformists, activists, and scholars to question the limits of the law in its present state in order to develop a fairer system at the local, national, and global levels. Christensen, Linda and Watson, Dyan. Rhythm and Resistance: Teaching Poetry for Social Justice (Rethinking Schools, April 2015). 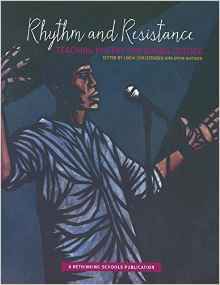 Rhythm and Resistance offers practical lessons about how to teach poetry to build community, understand literature and history, talk back to injustice, and construct stronger literacy skills across content areas and grade levels from elementary school to graduate school. Rhythm and Resistance reclaims poetry as a necessary part of a larger vision of what it means to teach for justice. Clayton, Matthew and Williams, Andrew. 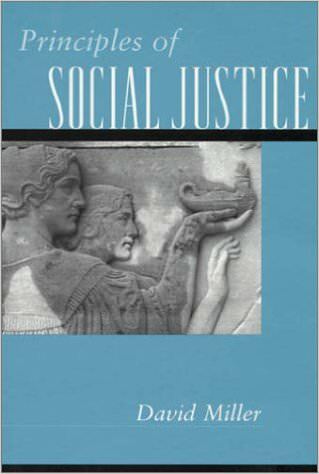 Social Justice (Wiley-Blackwell, February 13, 2004). This reader brings together classic and contemporary contributions to debates about social justice. -A collection of classic and contemporary contributions to debates about social justice. -Includes classic discussions of justice by Locke and Hume. -Provides broad coverage of contemporary discussions, including theoretical pieces by John Rawls, Robert Nozick and Ronald Dworkin. -Contains papers that apply theories of justice to concrete issues, such as gender and the family, the market, world poverty, cultural rights, and future generations. -Philosophically challenging yet accessible to students. Crow, Dale. The Bully Within (Traitmarker Books, 2016). My name is Dale Crowe, and I want to introduce you to the bully within me: Dale Crowe the Boxer. A little more than sixteen years ago, I was an up-and-coming, cruiser-weight boxer with a record of 15 and 0. I wasn't Mike Tyson - not even close - but many people around me believed that with a serious commitment on my part I could have been a genuine contender. Well, I failed. I didn't fail because I wasn't good enough, but because I believed I wasn't good enough. Dale the Boxer told me that I wasn't good enough. And I believed him. Today, in addition to being called Dale Crowe, I'm also known as inmate #519-303. But Dale Crowe doesn't have much to do with the terrible things I did or the fame I won. Nevertheless, this is my story. Crow, Dale. Grab the Bully by the Horns (Traitmarker Books, 2016). 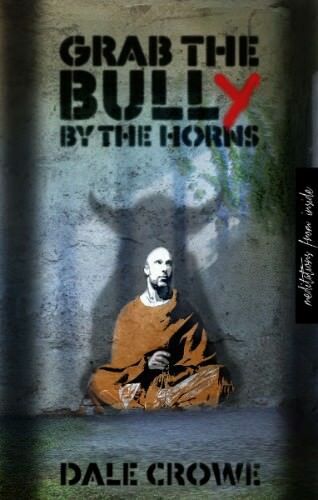 Grab the Bully by the Horns is a series of my personal meditations from prison. While some of the meditations might seem simplistic to some and complex to others, I wanted to share with you a few of the beliefs and practices that have changed my life. When I finished writing this book, I experienced some inner struggles. Originally, I thought that the struggles were gone. While I have experienced some higher realizations, I do experience hard times. The difference now is that I can face those hard times and dissolve them much more quickly by aligning myself with higher principles. Now that I have this knowledge of Self, I will not stop until I reach the highest state of enlightenment. This is my birthright. That is your birthright. Curl, John. 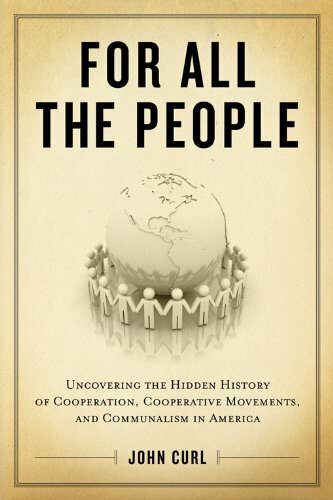 For All the People: Uncovering the Hidden History of Cooperation, Cooperative Movements, and Communalism in America (PM Press, 2009). Seeking to reclaim a history that has remained largely ignored by most historians, this dramatic and stirring account examines each of the definitive American cooperative movements for social change—farmer, union, consumer, and communalist—that have been all but erased from collective memory. Focusing far beyond one particular era, organization, leader, or form of cooperation, the expansive analysis documents the multigenerational struggle of the American working people for social justice. With an expansive sweep and breathtaking detail, the chronicle considers Native American times and follows the American worker from the colonial workshop to the modern mass-assembly line, ultimately painting a vivid panorama of those who built the United States and those who will shape its future. Dewhurst, Marit. Social Justice Art: A Framework for Activist Art Pedagogy (Harvard Education Press, 2014). 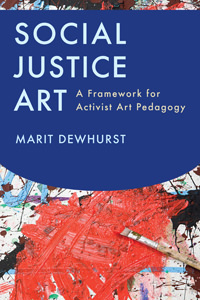 In this lively and groundbreaking book, arts educator Marit Dewhurst examines why art is an effective way to engage students in thinking about the role they might play in addressing social injustice. Based on interviews and observations of sixteen high schoolers participating in an activist arts class at a New York City museum, Dewhurst identifies three learning processes common to the act of creating art that have an impact on social justice: connecting, questioning, and translating. Noting that “one of the challenges of social justice art education has been the difficulty of naming effective strategies that can be used across multiple contexts,” Dewhurst outlines core strategies for an “activist arts pedagogy” and offers concrete suggestions for educators seeking to incorporate activist art projects inside or outside formal school settings. Eubanks, Virginia. 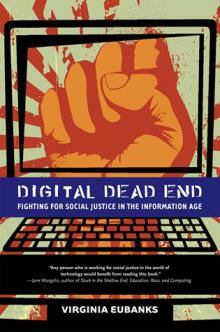 Digital Dead End: Fighting for Social Justice in the Information Age (MIT Press, 2011). The idea that technology will pave the road to prosperity has been promoted through both boom and bust. Today we are told that universal broadband access, high-tech jobs, and cutting-edge science will pull us out of our current economic downturn and move us toward social and economic equality. In Digital Dead End, Virginia Eubanks argues that to believe this is to engage in a kind of magical thinking: a technological utopia will come about simply because we want it to. This vision of the miraculous power of high-tech development is driven by flawed assumptions about race, class, and gender. The realities of the information age are more complicated, particularly for poor and working-class women and families. For them, information technology can be both a tool of liberation and a means of oppression. But despite the inequities of the high-tech global economy, optimism and innovation flourished when Eubanks worked with a community of resourceful women living at her local YWCA. Eubanks describes a new approach to creating a broadly inclusive and empowering “technology for people,” popular technology, which entails shifting the focus from teaching technical skill to nurturing critical technological citizenship, building resources for learning, and fostering social movement. Hanson Weller, Stephanie. 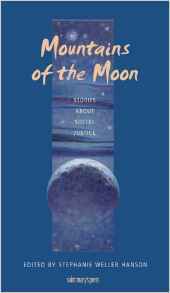 Mountains of the Moon: Stories About Social Justice (Saint Mary's Press, September 1999). The ten short stories in this collection for young adults put flesh and blood on issues of justice at personal and societal levels and offer in-depth material for reflecting on the meaning and practice of Christian justice. Hoefer, Richard. 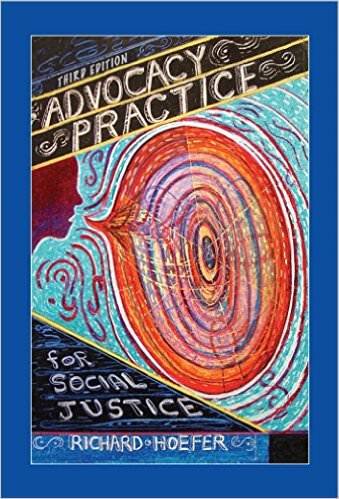 Advocacy Practice for Social Justice (Lyceum Books, July 2015). Current economic and social forces are creating a society with less equality, justice and opportunity for all but the privileged few. Social workers are called upon by their code of ethics to counteract these trends of social inequality and actively work to achieve social justice. Hoefer s empirically-based, step-by-step approach demonstrates how to integrate advocacy for social justice into everyday social work practice. The book shows through anecdotes, case studies, examples, and the author's own personal experiences, exactly how advocacy can be conducted with successful outcomes. Each chapter builds upon the previous to provide a concise yet detailed blueprint for conducting successful advocacy. Jaffe, David. 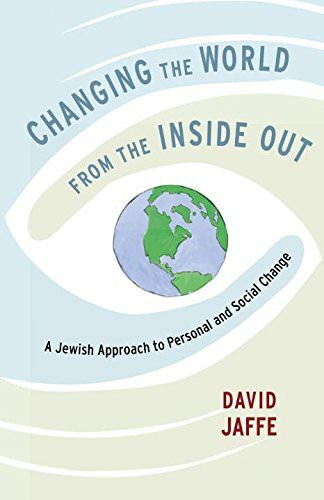 Changing the World from the Inside Out: A Jewish Approach to Personal and Social Change (Shambhala Publications, 2016). An inspiring and accessible guide, drawn from Jewish wisdom, for building the inner qualities necessary to work effectively for social justice. 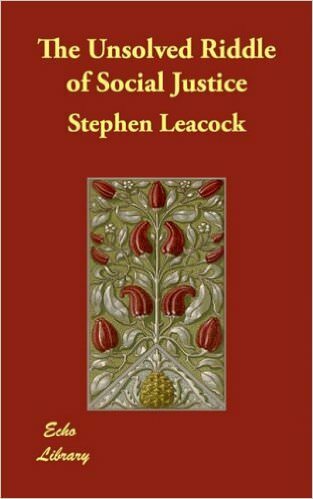 Leacock, Stephen. The Unsolved Riddle of Social Justice (Echo Library, June 25, 2008). These are troubled times. As the echoes of the war die away the sound of a new conflict rises on our ears. All the world is filled with industrial unrest. Strike follows upon strike. A world that has known five years of fighting has lost its taste for the honest drudgery of work. Cincinnatus will not back to his plow, or, at the best, stands sullenly between his plow-handles arguing for a higher wage. Linker, Maureen. 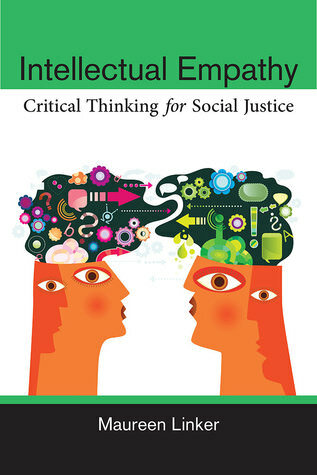 Intellectual Empathy: Critical Thinking for Social Justice (University of Michigan Press, 2014). Intellectual Empathy provides a step-by-step method for facilitating discussions of socially divisive issues. Maureen Linker, a philosophy professor at the University of Michigan–Dearborn, developed Intellectual Empathy after more than a decade of teaching critical thinking in metropolitan Detroit, one of the most racially and economically divided urban areas, at the crossroads of one of the Midwest’s largest Muslim communities. The skills acquired through Intellectual Empathy have proven to be significant for students who pursue careers in education, social work, law, business, and medicine. Miller, David. Principles of Social Justice (Harvard University Press, 2001). Social justice has been the animating ideal of democratic governments throughout the twentieth century. Even those who oppose it recognize its potency. Yet the meaning of social justice remains obscure, and existing theories put forward by political philosophers to explain it have failed to capture the way people in general think about issues of social justice. This book develops a new theory. David Miller argues that principles of justice must be understood contextually, with each principle finding its natural home in a different form of human association. Because modern societies are complex, the theory of justice must be complex, too. The three primary components in Miller's scheme are the principles of desert, need, and equality. The book uses empirical research to demonstrate the central role played by these principles in popular conceptions of justice. It then offers a close analysis of each concept, defending principles of desert and need against a range of critical attacks, and exploring instances when justice requires equal distribution and when it does not. 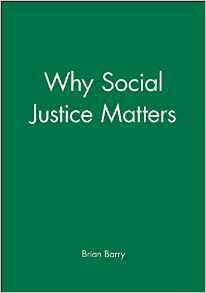 Finally, it argues that social justice understood in this way remains a viable political ideal even in a world characterized by economic globalization and political multiculturalism. Accessibly written, and drawing upon the resources of both political philosophy and the social sciences, this book will appeal to readers with interest in public policy as well as to students of politics, philosophy, and sociology. Nagara, Innosanto. 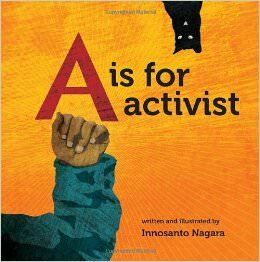 A is for Activist (Triangle Square, 2013). Raboteau, Albert J. American Prophets: Seven Religious Radicals and Their Struggle for Social and Political Justice (Princeton University Press, 2016). American Prophets sheds critical new light on the lives and thought of seven major prophetic figures in twentieth-century America whose social activism was motivated by a deeply felt compassion for those suffering injustice. Sensoy, Ozlem and DiAngelo, Robin. Is Everyone Really Equal? 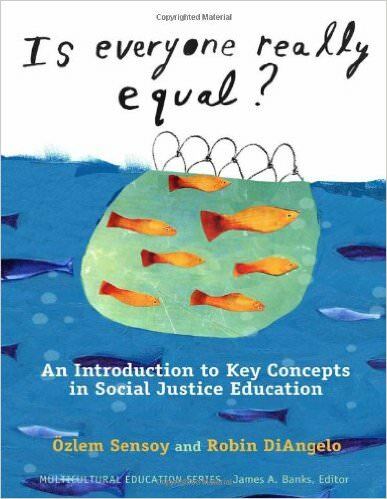 An Introduction to Key Concepts in Social Justice Education (Multicultural Education) (Teachers College Press 2011). This practical handbook will introduce readers to social justice education, providing tools for developing ''critical social justice literacy'' and for taking action towards a more just society. Accessible to students from high school through graduate school, this book offers a collection of detailed and engaging explanations of key concepts in social justice education, including critical thinking, socialization, group identity, prejudice, discrimination, oppression, power, privilege, and White supremacy. 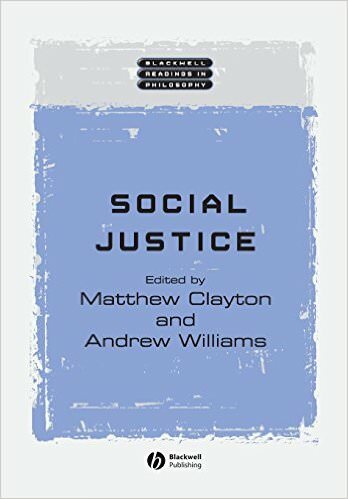 Based on extensive experience in a range of settings in the United States and Canada, the authors address the most common stumbling blocks to understanding social justice. They provide recognizable examples, scenarios, and vignettes illustrating these concepts. 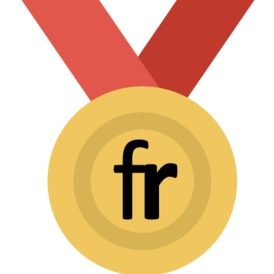 This unique resource has many user-friendly features, including ''definition boxes'' for key terms, ''stop boxes'' to remind readers of previously explained ideas, ''perspective check boxes'' to draw attention to alternative standpoints, a glossary, and a chapter responding to the most common rebuttals encountered when leading discussions on concepts in critical social justice. There are discussion questions and extension activities at the end of each chapter, and an appendix designed to lend pedagogical support to those newer to teaching social justice education. Stevenson, Bryan. 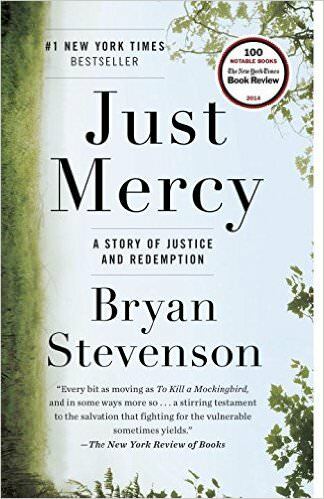 Just Mercy: A Story of Justice and Redemption (Spiegel & Grau, August 2015). Tornielli, Andrea and Galeazzi, Giacomo. 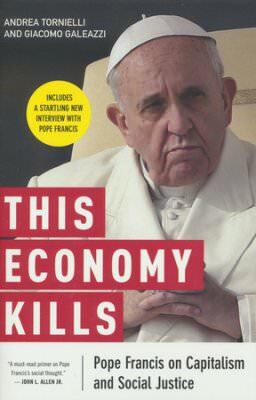 This Economy Kills: Pope Francis on Capitalism and Social Justice (Liturgical Press, 2015). When Pope Francis wrote in his apostolic letter The Joy of the Gospel that the economy of the West is one that "kills," he was immediately labeled by some as a Marxist. Criticisms came fast and furious, not only from financial columnists and conservative cable personalities, but also from some Catholic commentators, especially in the United States. In This Economy Kills, two of the most respected journalists covering the Vatican today explore the pope's teaching and witness on the topic: the ways it relates to other topics like war, the environment, and family life; its connections to the teaching of his predecessors; and the criticism it has generated, especially from the direction of the United States. This fascinating book includes the full text of an extended interview the authors conducted with Francis on the topic of capitalism and social justice, appearing here in English for the first time. This Economy Kills is essential reading for anyone who wants to understand Pope Francis's convictions about the world we live in and the way he believes Christians are called to shape it. Vogt, Brandon. 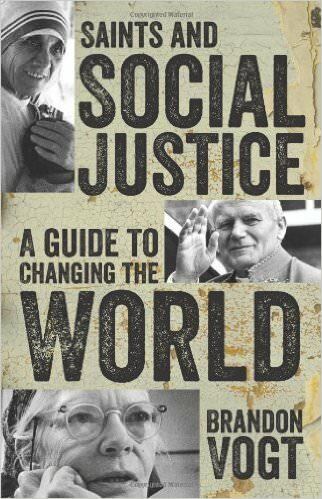 Saints and Social Justice: A Guide to Changing the World (Our Sunday Visitor, 2014).